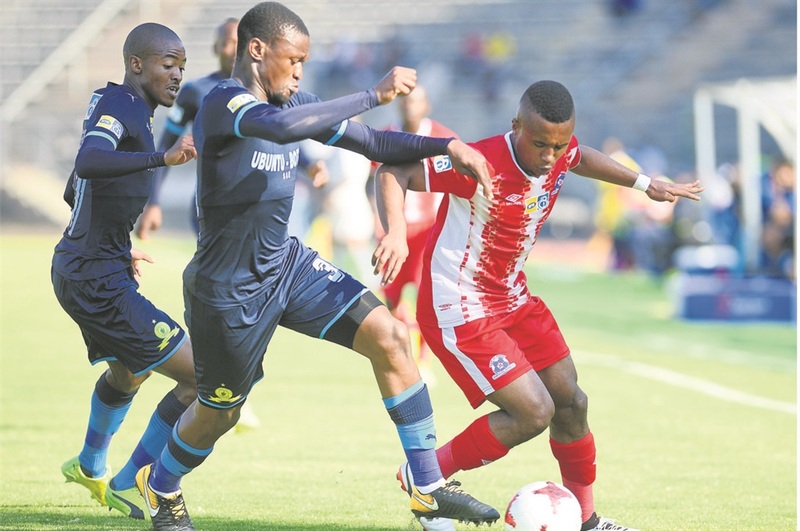 In the cup draw conducted immediately after the match, United were paired with Matsatsantsa a Pitori, while Bidvest Wits will visit Cape Town City later this month. Evans Rusike scored the only goal, his third against Sundowns, as the coastal side reached their first ever MTN8 semifinals. Making it this far already ranks as an achievement for the Team of Choice after they failed to progress any further in their cup debut two seasons ago. It wasn’t to be for the Brazilians this time around, who can’t blame anyone but themselves for the early exit. Skipper Hlompho Kekana twice missed clear cut chances to equalise in injury time, following similar missed chances earlier. If it’s any consolation, however, Sundowns will now be able to focus on the Caf Champions League without any early season knockout cup distractions. Following a slow start, Sundowns walked onto the field a changed team in the second half. Thabo Nthethe crashed a powerful header against the upright, but surprisingly it was the visitors who got the breakthrough. Rusike latched onto a Siphesihle Ndlovu pass and turned a defender before shooting low past goalkeeper Kennedy Mweene in the 58th minute. The incredulity on Patrice Motsepe’s face summed up the reaction of everyone in the home side. It must have felt like 17 May all over again for Sundowns, when the same Maritzburg derailed them in their quest for league glory at the same venue. The game was played under protest, lodged by Maritzburg, who disputed Fares Hachi’s eligibility. Details of the complaint remain unclear but sources hinted Hachi’s paperwork wasn’t in order. Sundowns were unable to assert themselves in the first half, as they battled to get rid of the off-season cobwebs. They were restricted to two shots at goal in that half, Khama Billiat coming close on the stroke of half-time. Maritzburg came into the match having lost 22 matches to Sundowns and having won only four.